Dr. Hamilton is a board-certified and fellowship-trained neurosurgeon with the Inova Neuroscience and Spine Institute. He treats patients with spine and neurological disorders, as well as patients suffering from a stroke or brain aneurysm. Dr. Hamilton provides an array of cutting-edge treatment options with the goal of alleviating pain and restoring function. 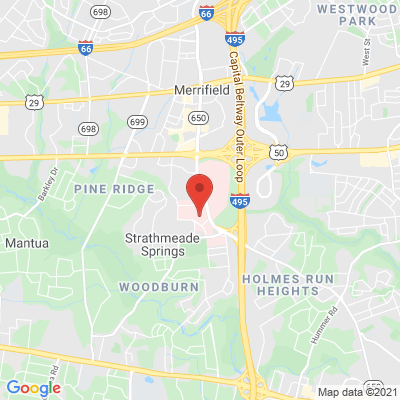 He is the Director of Spine and Peripheral Nerve Surgery at the Inova Medical Group Neurosurgery Clinic and the director of the physician assistant program. Dr. Hamilton is determined to treat the underlying source of your pain. "Dr. Hamilton is intelligent, professional, & sympathetic. He was responsive to the concerns of my wife and me, spending all the time necessary to do so. His treatment of me while I was in the hospital was equally impressive. I would certainly recommend him to others in my situation." 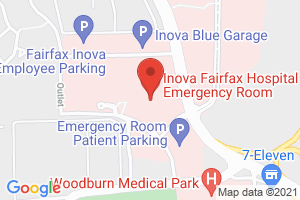 "You are very lucky to have Dr. Hamilton at Inova Fairfax! He restored my future work and family life through careful surgery to remove a meningioma that had begun to infiltrate my brain, after diagnosing the problem from an incidental discovery in the ED. He took care to discuss the medical situation and probable outcomes with me before the surgery, as well as talking with me ahead of time to understand what I would need to regain to return to work after the surgery." "I am very happy with the results of Dr. Hamilton's surgery on my back; his office and bed-side manners are impeccable. His staff is absolutely professional, helpful and respectful. I would recommend Dr. Hamilton and his staff to everyone." Dr Hamilton took the time to explain the medical language in simple terms to me so I would understand what was going to happen during surgery." Dr. Hamilton is a marvelous doctor and surgeon. He is easy to communicate with & very personable. I would recommend him to anyone.